Presenting Asian meals at home is something important to me because my kids are more biased to Italian cooking. 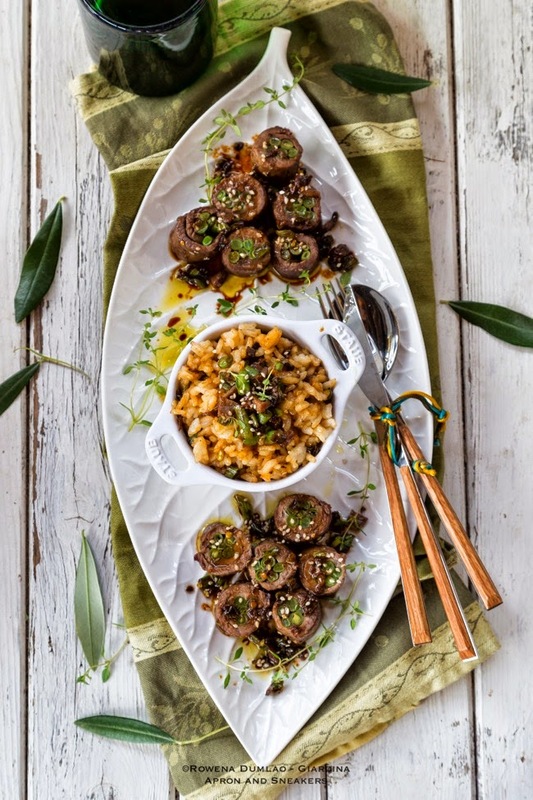 Being divided into two cultures and living in Italy, it's natural that they choose what they are surrounded with. I really don't blame them because Italian cuisine is really very good. BUT, having a grip of their other heritage is also a must to familiarize themselves with. Rice is always a part of the Asian meals I cook. 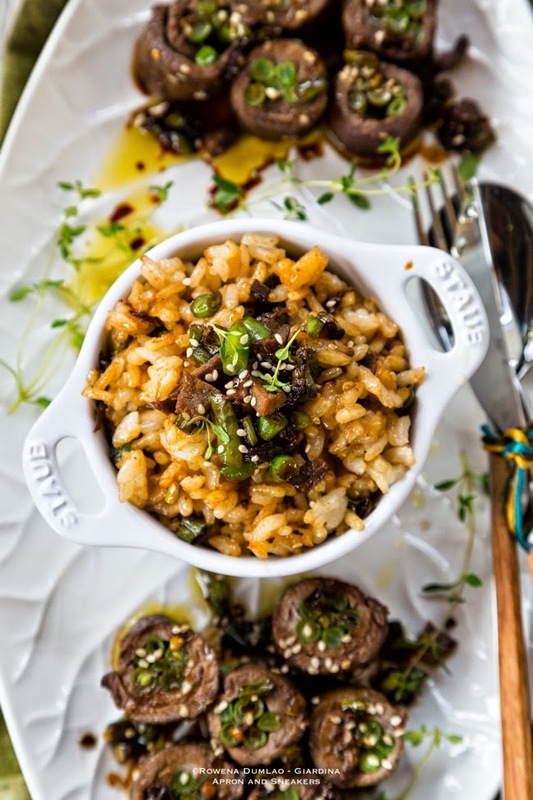 Soy sauce is another indispensable ingredient that I use in the majority of the Asian dishes I cook. Both kids are familiar with both ingredients. My daughter loves steamed with rice, but the Italian version with Parmigiano Reggiano and extra virgin olive oil. Looking at it positively, at least she eats white rice with gusto. Imagine my predicament when we were at a dinner party in a Chinese restaurant in Rome and she was asking for Parmigiano Reggiano to sprinkle on her rice. They didn't have it so she settled with just oil. It had been a struggle in making my kids understand that both completely diverse cuisines cannot interchange ingredients because the flavors are off when mixed together. I remember being horrified when my son asked to sprinkle Parmigiano Reggiano on his chicken adobo with rice. Strong flavors of soy sauce and lemon (or sometimes vinegar) to be combined with Parmigiano is something I still cannot comprehend in putting together. Now, years of teaching them have paid off. They can already separate both cuisines on our table. I have always loved teriyaki. It's a simple Japanese concoction that became so popular that even in other Asian cuisines like the Philippines, it is in constant use. Sometimes though, I don't put the sake anymore because I am scared that the kids might not like it so I keep it simple with soy sauce, mirin and honey. I add sesame oil and seeds to give a more interesting Asian angle. 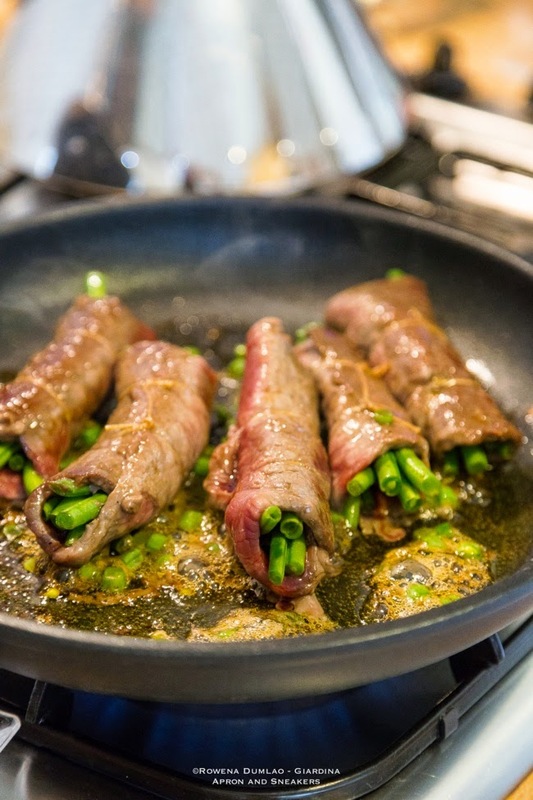 For this recipe, it's just thin slices of beef rolled with green beans in the middle. The flavors of teriyaki is amazing even if the meat is not marinated for a long time. 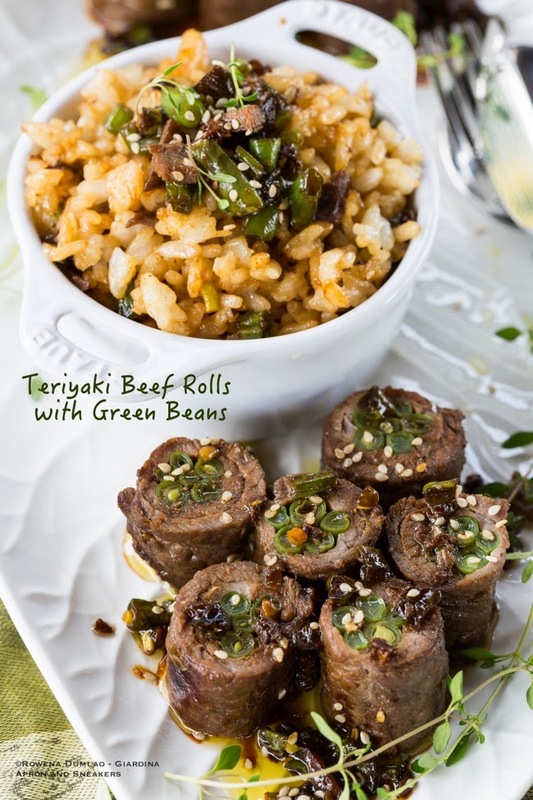 Make sure your meat is tenderized well to avoid having chewy beef. You know what my son's favorite part is? The rice that I roll on the remaining teriyaki sauce. It's something that I remember my Dad would always do when he was cooking adobo. The rice was my favorite part too. I hope you'll enjoy this one like all of us did. I created this recipe for She Knows. 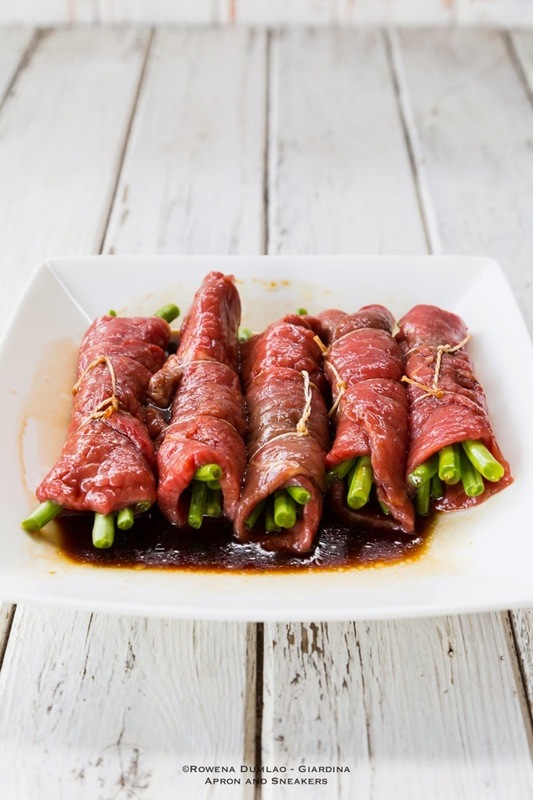 You can get the 30-Minute Teriyaki Beef Rolls with Green Beans recipe there. You can also check out my Profile Page to see the other recipes I created for them. Enjoy your week!